What Does It Mean to Be a Nutrient Seeker? Sometimes when we're on a healing diet, we focus so much on the foods we avoid, that we forget to pay attention to the foods we're choosing to eat. While it is essential to avoid inflammatory foods, we also need to provide our bodies with the deep nutrition they need to heal. A steady diet of chicken breasts, broccoli, and paleo AIP desserts isn't going to get us there. So, which foods give us the biggest bang for our nutritional buck? What do our meals and menu look like when we are truly eating for health? That's what this podcast is all about. For all of you impacted by Hurricanes Harvey and Irma, you are in our hearts and minds. Here's an excellent article on how to prepare for and respond after a hurricane: AIP Survival Tips. On the weeks between podcasts, I write articles on my blog. This past week, I posted a new recipe: Superfood Sardine Salad for People Who Hate Sardines. If you don't want to miss out, subscribe to my weekly newsletter. 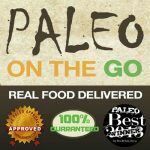 Paleo on the Go is located in Florida but thankfully made it through the storm with minimal damage. Deliveries were understandably delayed but will resume on Monday 9/18/17. 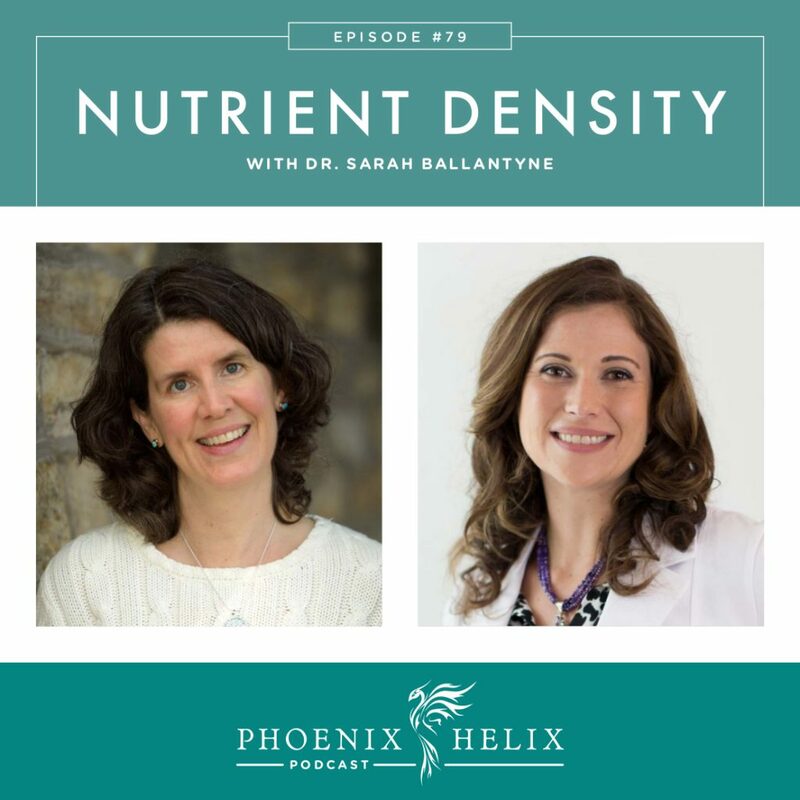 Dr. Sarah Ballantyne is a leader of the AIP community and the author of the books: The Paleo Approach, The Paleo Approach Cookbook, The Healing Kitchen, Go To Bed, and the soon-to-be-released Paleo Principles. She's also the voice behind The Paleo Mom blog and The Paleo View podcast. Sarah has autoimmune disease herself: Hashimoto's, psoriasis, and lichen planus. She shared the first part of her healing story in Episode 3 of this podcast, reversing irritable bowel syndrome (IBS), acid reflux, migraines, depression, anxiety, asthma, allergies, eczema, psoriasis and lichen planus through implementing the paleo autoimmune protocol. Since that episode aired, she was diagnosed with Hashimoto's thyroiditis after getting a complete thyroid panel from her functional medicine practitioner. It ended up explaining so many of the symptoms she had experienced since childhood. Unfortunately, it's very common to experience symptoms for years before receiving an autoimmune diagnosis. Now, a combination of a personalized AIP (with reintroductions) and thyroid medication helps her to live a vital and healthy life. She's also a fellow nutrivore aka nutrient seeker. The average Western diet is rich in calories but devoid of nutrients, so our country is overfed and undernourished. Nutrient deficiency is very common. 75% of people in the US are deficient in vitamin D. Other common deficiencies include vitamins E, A, C, B, calcium, magnesium, iron and zinc. This is because the Western diet is high in refined foods and low in whole foods, particularly vegetables. Americans eat an average of 1.5 cups of vegetables per day, and 50% of that intake is potatoes and tomatoes, usually in the form of french fries and ketchup. Going paleo is a step in the right direction, but even on a whole foods diet, it takes effort to get all of the nutrition you need. When you identify as a nutrient seeker or nutrivore, you are seeking out the most nutritious foods to include in your diet: nutrient-dense calories instead of empty calories. Vegetables are the base of the AIP food pyramid. They provide us with fiber which is essential to gut health. They're full of phytonutrients, unique to each plant, many of which have antioxidant and anti-inflammatory properites. Whfoods.com is a great resource for learning the beneficial properties of each vegetable. Research shows that the more cups of vegetables we eat daily, the lower our risk of death from all causes. When it comes to autoimmune disease, the lower our vegetable consumption, the higher our risk for rheumatoid arthritis. Research by Terry Wahls shows that The Wahls Protocol (which includes 6-9 cups vegetables daily) improves clinical outcomes for MS patients. And a recent study into the AIP for IBD achieved a 73% remission rate. Although dairy is often the most recommended food to prevent osteoporosis, research shows that vegetable consumption has a greater impact on bone mineral density. Sarah considers 8 cups of fresh vegetables daily the minimum we should eat, alongside quality protein and health fats. How does that look on a plate? 3/4 of the plate will be filled with vegetables. Resource: A-Z Vegetable Recipe Roundup. Cooked vegetables are often better tolerated than raw, especially soups and stews. Resource: 49 Paleo AIP Soups. A temporary Low-FODMAP diet can sometimes help calm down an irritable bowel. The goal, however is to reintroduce a diversity of vegetables very slowly over time. Look into functional medicine testing for gut infections like SIBO. Healing underlying conditions often improves autoimmune symptoms and vegetable tolerance. Other tips for healing the gut: Limit sugar (even natural ones) and prioritize seafood for the omega-3 fatty acids. Focus on sleep and stress management which connect directly to gut health. Incorporate healthy movement into your day, but avoid strenuous exercise. Don't try to jump straight from 2 cups of vegetables daily to 8. Increase by 1/2 cup at a time, as tolerated. There are two vegetable powders available which shouldn't replace whole vegetables, but can help increase your quantity and diversity: Sarah's Veggie Protein Powder and Dr. Cowan's Concentrated Vegetable Powders. Lastly, digestive enzymes also help break down fiber and make vegetables easier to digest. Hunter-gatherers ate 100-200 different species of plants per year. Since every plant has a different nutrient profile, the more diverse our diet, the deeper our nutrition. Be sure to eat the rainbow of colors. Each pigment indicates a different set of nutrients, and seek variety within those colors as well. Start gardening. Even with limited space, lots of great vegetables will grow in containers, and fresh-picked vegetables are the most nutrient-dense of all. Expand your variety of fresh herbs. They are some of the most phytonutrient-rich foods available, and they bring a wide variety of flavor as well. The elimination phase of the AIP isn't meant to last forever. The reintroduction process is an important step which expands nutrient diversity and density as well. 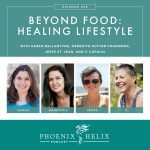 Both Sarah and Eileen have reintroduced a number of foods, and continue to test new foods each year on our healing journey. It was the nutrition research done by Dr. Terry Wahls that convinced Sarah of the importance of organ meats on a healing diet. The Wahls Protocol has a nutrient table in the front of the book, and the top food for a vast majority of nutrients is liver. Other organ meats aren't far behind. Like many other people, Sarah didn't like organ meat at first, and she developed recipes to hide the flavor (like her famous 50/50/50 burgers). Then, as her body recognized the powerful nutrition contained in organ meats, her palate quickly adapted. Now, she craves organ meat and feels much better when they're a regular part of her diet. Taste preferences do change after repeated exposure, especially when there's a positive association. It's a myth that the liver stores toxins. It stores the nutrients our bodies need to detoxify. Organ meats overall are nutrient powerhouses. Resource: Organ Meat Recipe Roundup. Seafood rivals organ meat when it comes to nutrient density, especially oysters, clams and mussels. Additional benefits of seafood: omega-3 anti-inflammatory fatty acids, easy-to-digest protein, and one of the few food sources of vitamin D.
Mercury fears: Seafood contains selenium which binds to the mercury and renders it inert. The only fish that contain more selenium than mercury are very large fish like swordfish, shark, and whale. The high selenium levels in most fish actually help protect against mercury exposure from other sources. Radiation fears: radiation leaked from Fukishima became so diluted in the ocean that the amount absorbed by fish is negligible and exponentially less than what we are exposed to in daily life. In addition, fish contain nutrients that help us detoxify radiation. Summary: When it comes to seafood, research shows there is a greater risk to health when it's avoided. Fish with the highest levels of omega-3 fatty acids and lowest levels of mercury: caviar, anchovies, sardines, mackerel, herring, and salmon. Vital Choice Sustainable Seafood sells all of these, along with Eileen's favorite low-mercury tunafish as well. Use the code VCAFINT for 10% off your first order. Eileen grew up on Cape Cod, yet hated seafood as a child. It wasn't until she went paleo for her health that she started incorporating it into her diet. To change her taste preferences, she started with mild fish in flavorful sauces, and recently conquered her “seafood Mt. Everest” – sardines! You can keep up with all of Sarah's work through her blog, The Paleo Mom. There you will find information on her books, podcast, consulting practice, and more. She has an AIP course launching in January, and if you sign up for her newsletter, you'll be the first to be notified. 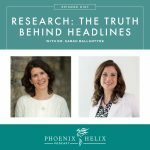 As a research scientist, Sarah always shares lots of scientific studies in her interviews. While I did include some here, I couldn't include them all. 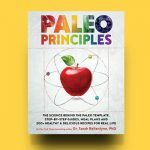 If you love delving into the science, please see her books which include hundreds of scientific references: The Paleo Approach and the soon-to-be-released Paleo Principles.